by Briana Thornton on December 7, 2018 . 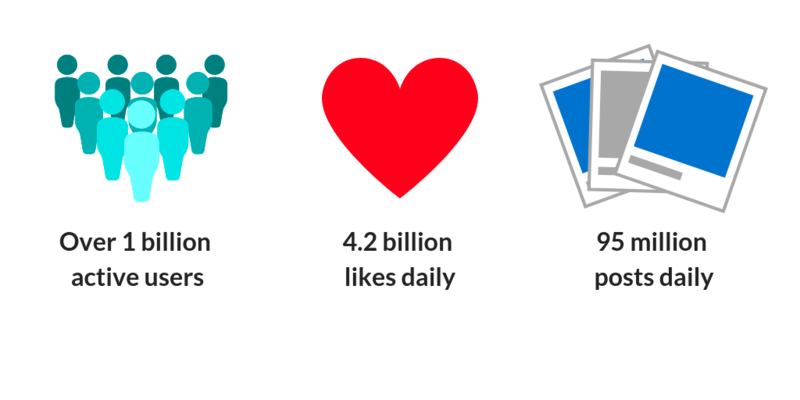 As of July 2018, Instagram recorded that the platform has over 1 billion active users. Can you imagine how many potential customers or possible leads that you could create if you really took full advantage of the app? 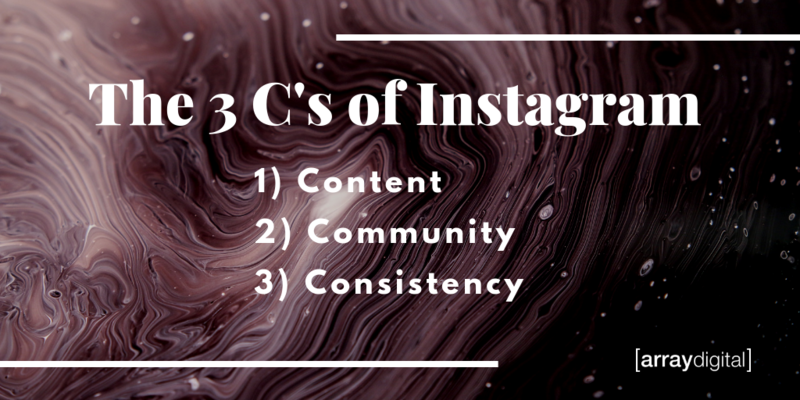 Over 25 million businesses are already utilizing Instagram to drive traffic to their website and convert customers, so if you are not present on Instagram or you aren’t using every aspect of it, you are letting your competitors win. Don’t worry, it’s not too late! But there’s also no better time than now. Instagram is constantly updating its interface with new features, many of which can benefit marketers and businesses. And the best part of the app is that it doesn’t serve just one specific type of business. Whether you’re in e-commerce, a brick-and-mortar store, or a freelance company with many clients, your audience is on there ready to welcome you with open arms. But where to start? Well right here with this step by step guide on how to set up and optimize your Instagram account to drive traffic right to your website! Instagram Ads: only business accounts can access this advertising tool but essentially you can set up, run, and track your own ad campaigns. 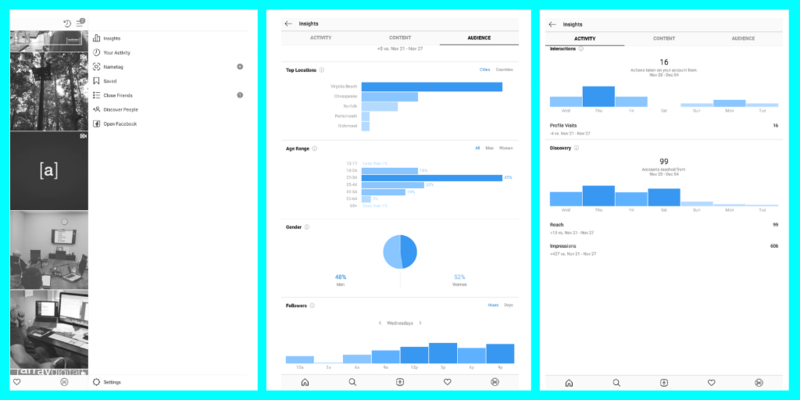 Instagram Analytics: another extremely powerful marketing tool which we will touch on extensively in just a bit. Promoted Posts: you can promote your posts within the app, similarly to how you might boost your posts on a Facebook page. Contact Buttons: you have the option to include directions, a phone number, and/or an email address allowing for easy lines of communication between you and your customers. Links On Your Instagram Stories: accounts with 10,000 or more followers can add links to their Stories, a feature that was once only available to verified accounts. Profile picture: Your company logo is your best bet because it’s easy for people to identify. If you choose to go with an actual photo, keep it on brand and simple; it should match your company and your feed’s aesthetic (more on that later). Account name: Make it your business name and it should be the same as all your other social accounts. Your username and account name are the only fields that Instagram considers in search inquiries, so make it count! Username: Should also be your business name. Your username can’t have any spaces so bear that in mind. You can always use a “.” or “_” in place of the space if you so please. Website: Be strategic here as this is the only clickable link in your entire profile. Some businesses choose to make this a link that sends users to their brand website or blog. Others send followers to a specific destination, maybe a landing page or a campaign that you’re currently promoting. Gender and age range: This will help you finetune your content strategy to really appeal to that audience. What kind of lifestyle would your ideal customer lead? Replicate that in your feed. And remember, not everything you post has to be about your brand and your product because people are going to get tired of seeing the same old thing from you. Top locations: This can give you great insight into what time you should be posting to increase your engagement. But it’ll also give you an idea of what to post. Let’s say you discover that most of your followers are from non-English-speaking countries; you may consider writing less copy and providing more context within the photo. Try switching up your posting times and see what works best for each day, but make sure to keep track with an Excel spreadsheet. See what times are performing best and adjust your posting times to that. After you’ve figured out when your audience engages most with your posts, we highly recommend scheduling your posts as it’ll save you a lot of time and headache. We recommend you spend just a couple hours a week gathering content ideas, taking pictures, and scheduling the posts (captions included) for the rest of the week, so that you’re otherwise able to focus on other tasks for your business. Curate your feed: You should post photos that are visually engaging and appealing as a feed, not on a photo-by-photo basis. 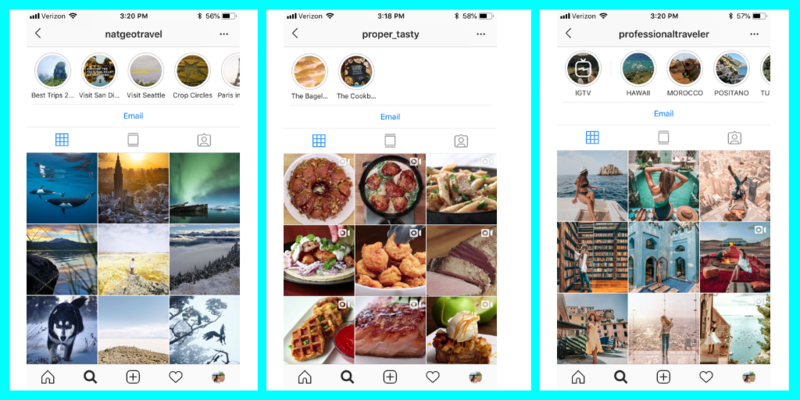 The first impression of your Instagram feed is in the first three rows of your grid, and its aesthetic is your chance to catch your viewer’s eye within a matter of seconds. Scheduling your post is also beneficial in this arena because it allows you to see how cohesive your feed before you post them. 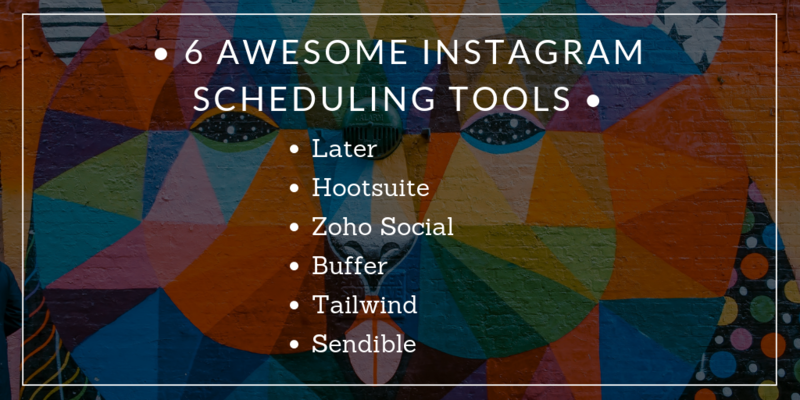 Most scheduling tools will allow you to drag and drop images until you get the look you want. 2. Compelling captions: Your caption is just as much a representation of your brand as your Instagram feed is. 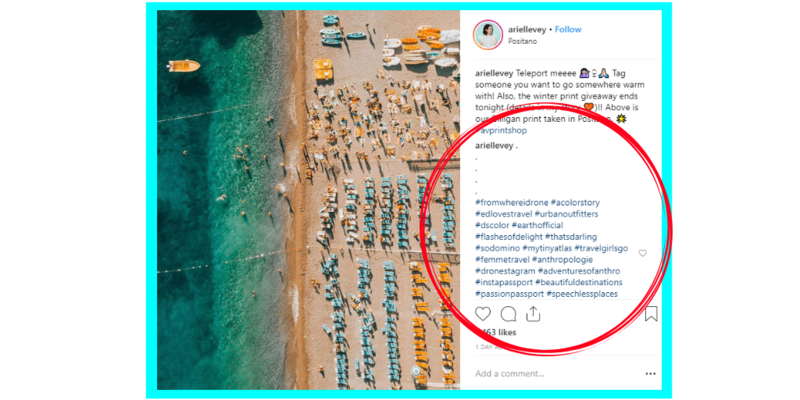 Similarly to your bio, your caption should have a clear call-to-action, contain emojis, use mentions and hashtags (no more than 3-4; limit of 30). You have up to 2200 characters, so there’s no excuse for single-emoji captions, but short and sweet seems to be the best way to go. Prospective followers want consistency. That doesn’t just mean frequency; it also means you should keep your post aesthetic constant. As much as you might want to post a dark and moody picture among your bright and colorful existing images, it will only confuse your followers and ruin the cohesiveness of your feed. Use similar filters, space out the subject matter so you don’t have two of the exact same type of post next to each other, and only post photos that go with the rest of your feed. Your goal should be to post at least once a day to keep your brand top of mind. But if you are just starting off, that might be a little much for you and something you have to work up to. No worries, just find a schedule that works for you and STICK TO IT. If that means you’re posting once a week, fine (if that’s all you can manage), just make sure that it’s the same day and time every week. I’d be doing you a great disservice if I didn’t tell you how advantageous using Instagram Live could be to your IG Strategy. Not nearly as many businesses have tapped into Instagram Live as Instagram Stories, but it’s yet another great way to promote your products. Now the thing with IG Live is that there are no “retakes” so while with Stories, you are able to post previously-recorded videos, that is not an option here. Maybe that’s intimidating to you but I say it’s the perfect opportunity to show your brand’s personality. 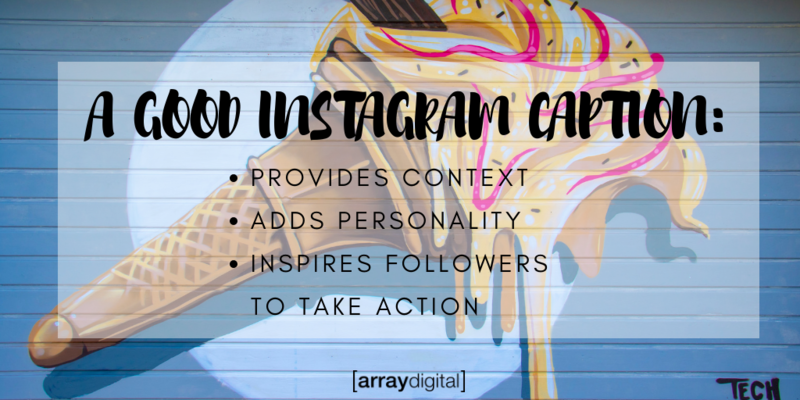 An essential part of a successful Instagram marketing strategy, Stories are a great way to help drive engagement, interact with customers and show products in action. It’s just as important to maintain your image in these as it is throughout your feed as it’ll help increase brand awareness. Good branding is powerful: it communicates the unique essence of your brand and makes it easy for followers to recognize. And we strongly recommend using your brand’s logo in your stories as it serves as yet another way to solidify your branding in the minds of your followers. 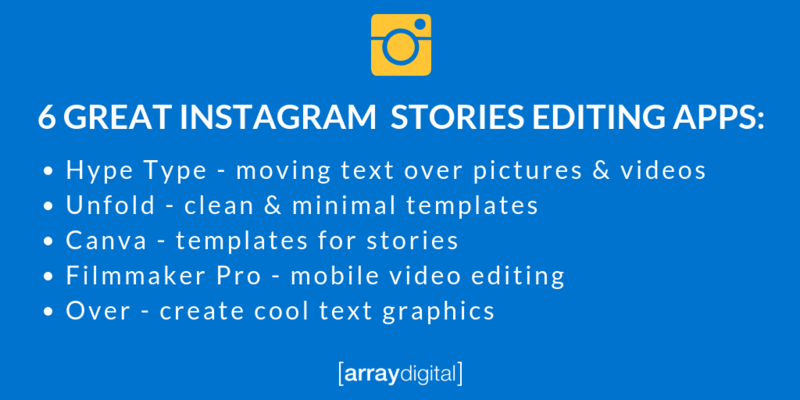 Here are 5 of our favorite Instagram Stories editing apps and what they can be used for: Unsure of where to start with your Stories? No worries, we’ve got you covered there too. Promote sales by providing your followers with a coupon code. Showcase your products: you can post pictures of one product from different angles, a video of how to use a certain product, or a succession of images of different products. The options are endless! Give your followers a new perspective with guest hosts and takeovers from people associated with the brand. To try it out with your own business you can choose someone from your company for a “day-in-the-life” story, or you can partner with other businesses in your industry to swap stories for the day. User-generated content: this is the perfect time to use those pictures you’ve been collecting. Repost the pictures to your story and tag the user. Engage with your audience: give them a reason to DM you. Instagram has these great story elements where you can ask questions, run polls, add fun GIFs and stickers so use every feature on Stories and see what your followers respond best to. Drive traffic to your website: write a short URL, direct them to the link in your bio, or use the swipe up feature (only verified accounts can access this feature so consider taking the time to get your account verified). Celebrate those cheesy national holidays. You know the ones: #NationalCheeseDay, #StrawberryIceCreamDay; there are countless ones out there and capitalizing on them could be a great way to fill your content calendar. Find a way to tie it back into your business and you’re good as gold. You know those little circles right above your feed? Those are your Story highlights and yet another great way to brand your account, so don’t miss out on that prime real estate. Here you can select the best parts of your stories (Instagram saves them all) and categorize them by what they entail. Plus, you can create cover photos that match the content and reinforce your brand. It’s yet another way to keep your Instagram profile consistent with your brand’s style and IG aesthetic. No matter how big or small your company is, it’s important not to let your Instagram Stories just fall to the wayside. If you’re not sure what an Instagram hashtag is, consider crawling out from under that rock you’re living under. 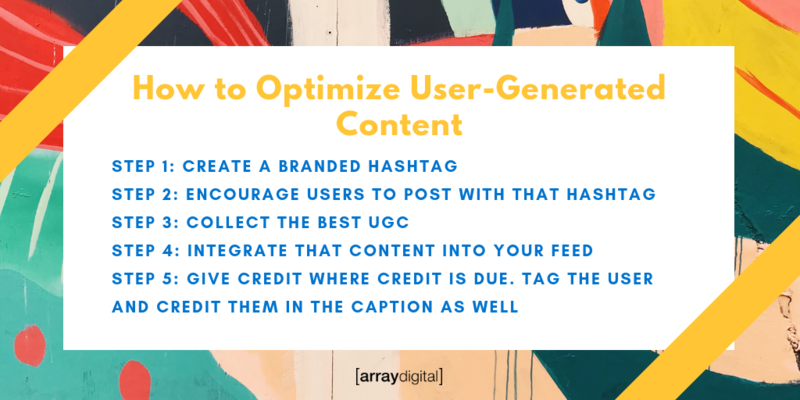 It’s essentially a search function on social media in which you can enter a word or phrase, preceded by a pound sign (#) and discover content categorized by that topic or trend, all of which has been tagged with that particular hashtag. This is yet another great opportunity to tap into your target audience, attract new followers and increase engagement. Now, any possible word or phrase could be a hashtag but you don’t want to use just any old tag. 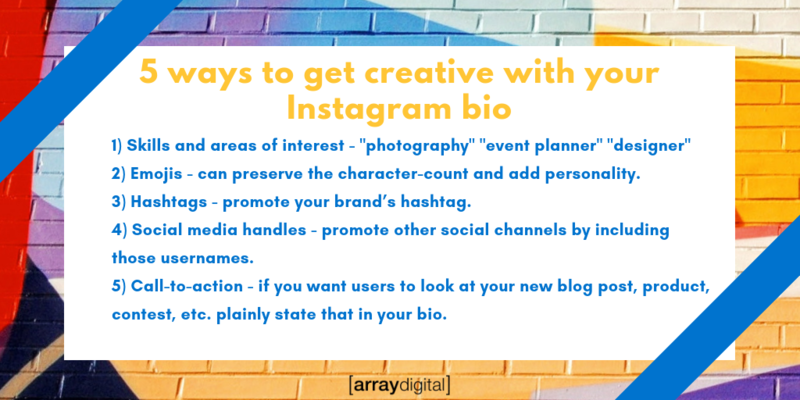 For example, #dog is one of the most popular hashtags on Instagram and so yeah, those posts are going to get some likes but using it isn’t going to do much for your growth in the long-run. 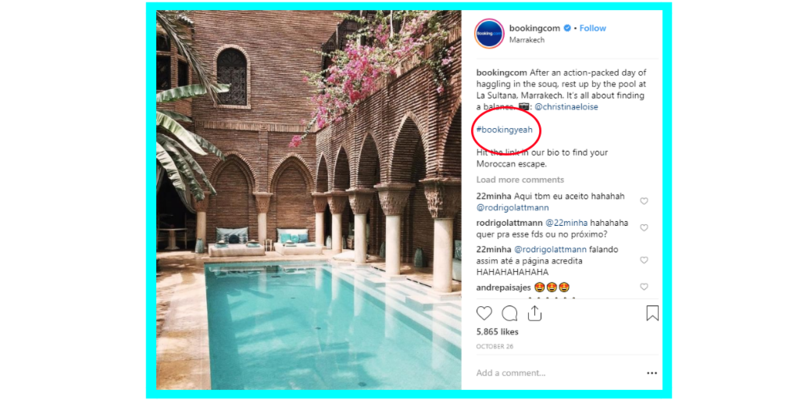 Instead of just using the most popular hashtags or #tagging #every #single #word (not a recommended strategy), develop a branded hashtag that your engaged community can get behind. A branded hashtag is unique to your business and can be as simple as your company name, brand slogan, or the name of one of your most popular products or campaigns. Or maybe it has nothing to do with your brand name and more to do with the lifestyle you’re promoting to customers. In a different vein, community hashtags can also increase your reach in a way that branded hashtags may not. They attract like-minded users around a particular topic. So while #dog has nearly 200 million posts attached to it, #dogsinclothes (if that’s something you’re into) has about 200k which is large but significantly less so using it could improve the searchability of your posts. 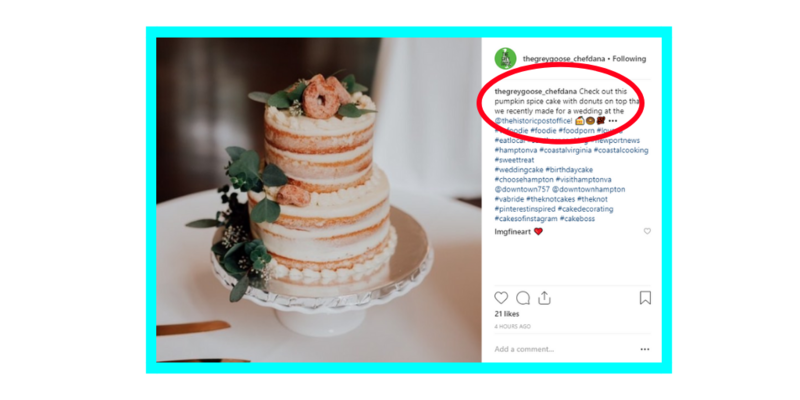 Just like with creating a posting schedule, finding an effective hashtag strategy can definitely be a process of trial and error, so see what works for you.